At Extra Space, we believe in a great company culture that provides our employees with all the support they need to succeed. Because we understand that we can’t continue to succeed unless our people love their jobs - day in, day out. Since 2016, we have been a part of the S&P 500 and lead the self-storage industry in more ways than one. We are a leader in our industry and in order to maintain this lead, we need extraordinarily motivated, capable, and driven people like you. 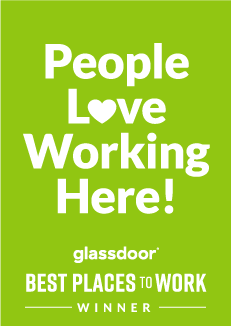 Come find out why Extra Space has been the recipient of one of the Best Places to Work, in 2018, according to Glassdoor. Self-driven individual with a "get it done" mentality that has a passion for helping organizations solve complex business and technology problems. This person will build and deliver intelligent and robust solutions for Extra Space Storage as a Software Engineer in our Web Content Management System. The individual in this role will participate in technical requirements sessions and develop and document solutions built on and around Sitecore. A successful candidate will have a minimum of three years of relevant work experience, display a willingness to work on and around content management systems, and be adept at managing client expectations and maintaining scope according to defined requirements. Participate in technical design sessions; architect and document technical solutions that are aligned with client business objectives and Sitecore best practices.